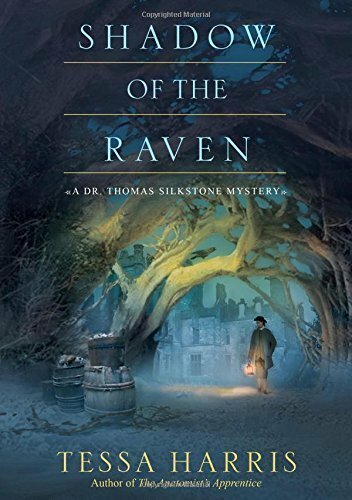 Ensconced in the woods of rural England, 1784, American anatomist Dr. Thomas Silkstone hunts for justice amid a maelstrom of madness, murder, and social upheaval. . . In the notorious mental hospital known as Bedlam, Dr. Thomas Silkstone seeks out a patient with whom he is on intimate terms. But he is unprepared for the state in which he finds Lady Lydia Farrell. Shocked into action, Thomas vows to help free Lydia by appealing to the custodian of her affairs, Mr. Nicholas Lupton. But when Silkstone arrives at the Boughton Estate to speak to Lupton, he finds that another form of madness has taken over the village. . . Sweeping changes to the Boughton Estate threaten to leave many villagers, who are rightfully angry, destitute. After a single shot rings out and a man dies in the woods, it appears that the desperate villagers have turned to murder to avenge their cause. But for Thomas, a post-mortem on the victim raises more questions than answers. Although he manages to save an innocent man from the gallows, a second murder warns him of his potentially fatal situation. Soon he discovers a conspiracy far more sinister than anything he has ever faced. But who it leads to is the last person he suspects. . . Outstanding praise for Tessa Harris and her Dr. Thomas Silkstone Mysteries!